I have IBS (Irritable Bowel Syndrome). Living with IBS is not easy. You constantly have to watch what foods you eat and your stress level, and a multitude of other nuisances that can trigger symptoms. I have discovered some effective natural remedies for IBS and am currently off my medication for IBS. Irritable Bowel Syndrome (or spastic colon) is a very common disorder with recurrent abdominal pain, intermittent diarrhea, alternating with constipation. IBS usually begins around age 20 and is more common in women. The exact cause of IBS is unknown. It has been discovered that colons of people suffering from IBS are more sensitive than normal people. In people with IBS, the intestines squeeze too hard or not hard enough and cause food to move too quickly or too slowly through the intestines. Symptoms can be triggered by anxiety, stress, or food intolerance. CHAMOMILE or LEMON BALM: Try a calming herbal tea with one of these herbs which have antispasmodic action. SLIPPERY ELM: Has a soothing action along your intestines. GINGER: Chew fresh ginger to relieve spasms or drink ginger tea. Ginger helps with inflammation also. PEPPERMINT: One of the best natural remedies for IBS. 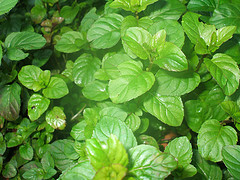 Peppermint Oil is widely used for irritable bowel syndrome. It possibly reduces abdominal pain and bloating by blocking the movement of calcium into muscle cells in the intestines and easing excessive muscle contraction there. Peppermint is considered a carminative herb, which means that it is used to eliminate excess gas in the intestines. Notice: A study the British Medical Journal published in November concludes that peppermint oil and soluble fiber can help people with irritable bowel syndrome and that both should be first-line therapies for IBS. LAVENDER or CHAMOMILE OIL: Massage abdomen with one of these oils which have antispasmodic qualities. JUNIPER, GARLIC, FENNEL, and ROSE: Detoxifying oils - Add to bath water or use in a massage. VITAMIN A: Necessary to keep the intestinal tract healthy. ACIDOPHILIUS: Take to encourage the growth of healthy bacteria. ZINC and VITAMIN B6: Increase daily intake to improve IBS symptoms. PROBIOTIC ELEVEN®: One of the most effective natural remedies for IBS. Probiotics was found to be effective at reducing abdominal pain, bloating, bowel dysfunction, incomplete evacuation, straining, and gas. FIBER: Best treatment for IBS. Fiber can be helpful because it improves how the intestines work and also help your body to rid itself of harmful toxins. Soluble fiber helps both diarrhea and constipation. It dissolves in water and forms a gel-like material. 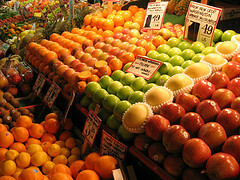 Many foods contain soluble fiber such as apples, beans and citrus fruits. Psyllium, a natural vegetable fiber, is a also a soluble fiber. You can buy psyllium supplements. Increase the fiber in your diet slowly. Some people feel bloated and have gas if they increase their fiber intake too quickly. Gas and bloating usually improve as you get used to eating more fiber. INDIAN GOOSEBERRY: Eat to control indigestion and hyperacidity. WATER: Drink at least eight glasses of water every day. Drink 30 minutes before or after a meal not just before or after your meal. AVOID CARBONATED BEVERAGES: Gas produced due to their consumption will worsen the symptoms. SIX MEALS: Eat 6 small meals a day instead of 3 large meals. CARBOHYDRATES: Eat foods which contain good amount carbohydrates e.g. rice, pasta and so on. 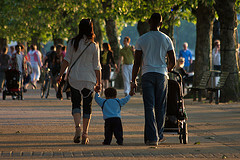 REDUCE FATS in your diet: Fat stimulates colon contractions that worsen already irritable bowels. AVOID COFFEE: There are some resins in the coffee bean other than caffeine which can cause the irritation. CUT OUT: smoking, red wine and beer from your diet. AVOID LAXATIVES: Do not take laxatives too often as they will weaken the colon’s natural ability to contract. Overuse of certain laxatives can also weaken the bones and cause other serious problems. Also, try to exercise regularly and most important and hardest to do....de-stress your life!